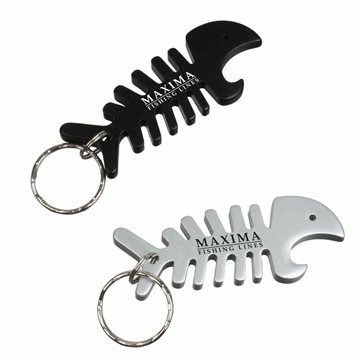 Scare off the competition with this fierce fish bone bottle opener keychain! This is the perfect way to get your brand out there and in the hands of those who matter most. Have your company logo printed on the skeleton to show off your brand at the beach or during pool parties. Break open all those pesky bottles or cans and enjoy those drinks while looking trendy!